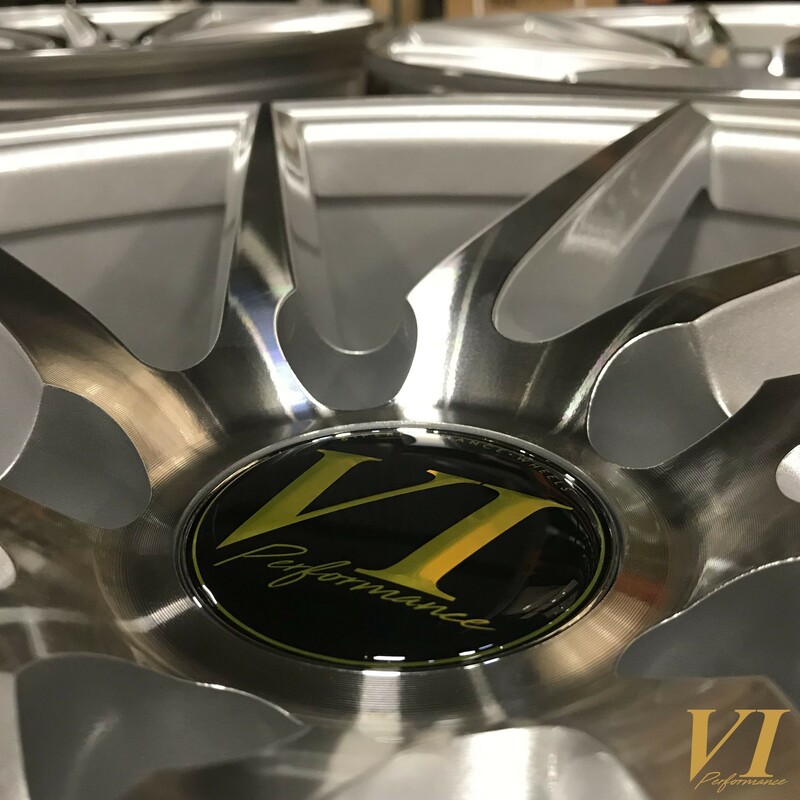 The newest design from VIPerformance, the 18x8.0 inch ESH, with a Lovely Silver with Polished Face finish. 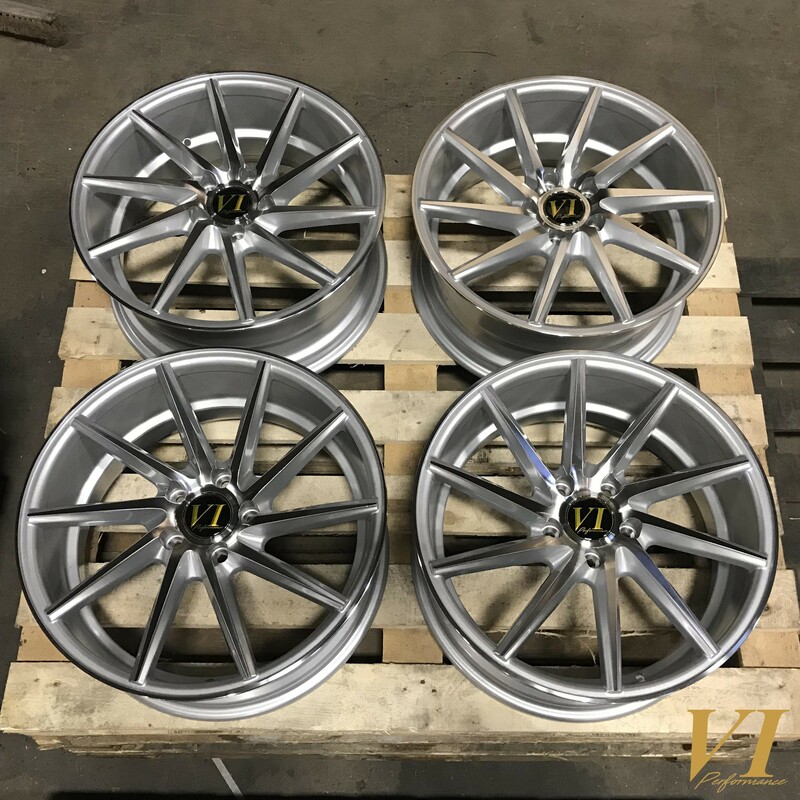 Supplied as a set of 4 with two left hand wheels and two right hand wheels, so they both rotate in the correct direction. 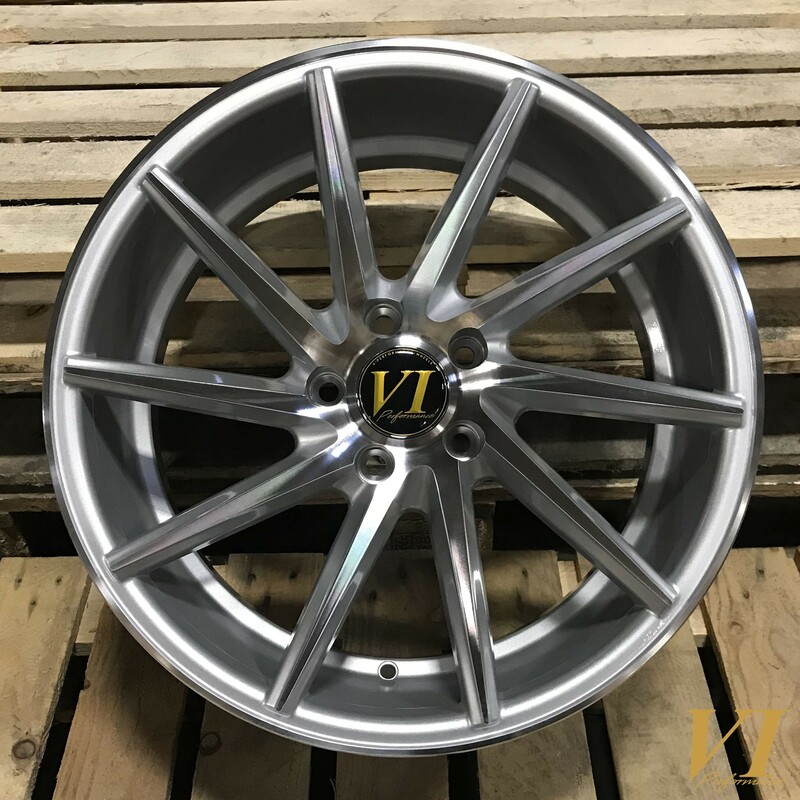 Sized to suit a wide variety of VW's and other VAG cars along with Mercedes and others using the 5x112 PCD. 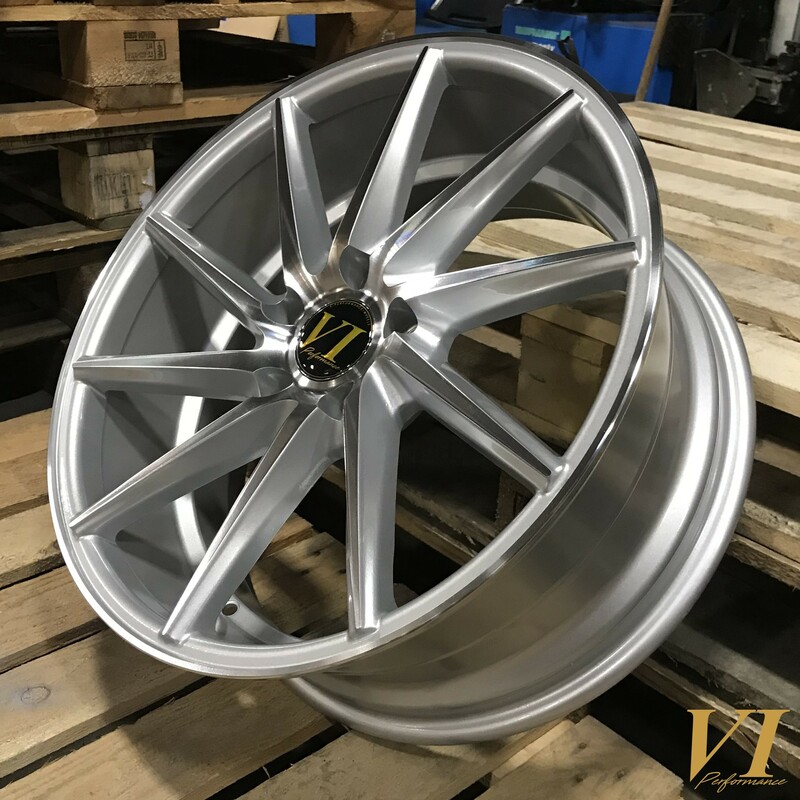 This set of wheels will come with a free fitting kit to suit your car, so be sure to fill in the correct details when ordering!